Intersoft Systems, Inc. - Articles of interest related to business accounting, INTERAC software, and Intersoft Systems. As software tools have become vital to the long term success in business, your software vendors need to become part of your team as technology partners. If your current vendors are not considered partners, why not? If it is due to issues in your organization, I would encourage you to reevaluate. On the other hand, if you have tried and are unable to establish this sort of relationship with an established vendor, it may be time to search for a replacement. Before you go to the expense and disruption of a complete software conversion, explore the areas of need and concern with your existing vendors. Although there are times when a conversion is the right answer, it is not something that should be taken lightly. Look for a “partner” not just a vendor, one you will be comfortable with for at least the next ten years. With hundreds of software solutions available that may provide the basic features and functionality you need, the support and training to help your team make the most of them should be a key factor in selecting your next software partner. Don’t be afraid to ask. As a software vendor, we are eager to hear from users. We encourage users not to wait until they are frustrated to call for help. Customer support services are offered as a means to assist with finding the best way to accomplish a task using our software tools. Who better to guide you than those who created it. These calls both help the end user and the vendor. The feedback we get from users helps us understand the needs and identify areas where we can improve our applications. It is truly a win – win scenario. It is easy to get “stuck in a rut”, but you don’t have to stay there. Software should be viewed as a tool just like the other tools of the trade. Make it work for you. Take the time to learn to use it in the most efficient and effective way possible. Your software investment should grow with you. It shouldn’t wear out and be disposed of like hardware. Through ongoing upgrades and enhancements, it should become an indispensable tool for maximizing the productivity and profitability of your organization. An all too common pitfall is a reluctance to invest in training. We find that our most successful customers are eager to have new hires trained to use their software tools. In addition to training new users, there is value in an occasional refresher course to be sure that the entire team is taking full advantage of the software tools. With all the new enhancements that are being added, it is easy to get behind and never utilize these new, time saving features. There is never a good time, so waiting until things slow down, or till business picks up, or whatever excuse you might use, training needs to be a priority that is scheduled and utilized just like you would for safety training or job certifications. The productivity gains realized will more than offset the cost and minor disruption to the routine. For some, it means sending users to training seminars, while others prefer to have a trainer come to them. Webinars are also a very effective way to deliver training. There are lots of options that can be tailored to fit your schedule organization providing your organization with the productivity gains to improve your bottom line performance, and after all, that is really what it’s all about. User conferences are a great opportunity to learn what is new with your software. Not only will you learn about the latest enhancements and new products from the developer, the exchange of ideas and questions from other users may help you discover new ways of doing things that you would not have otherwise thought of. One of the benefits we consistently hear about from user conference attendees is their opportunity to share ideas with other users. Scheduling routine software reviews with your vendor will help to identify processes that can be improved, features that are not being utilized, and other creative ways to increase productivity. Remember, your vendors work with lots of other users, so they have experience with a variety of ways to approach a given task. Don’t be afraid to take advantage of their expertise and recommendations. They are the most qualified to suggest best practices for their systems. ​Windows Server powers many of the world’s largest data centers, but it also delivers value to small- to midsize business (SMBs). Windows Server 2012 redefines the server category, delivering hundreds of new features and enhancements that span virtualization, networking, storage, user experience, cloud computing, automation, and more. For SMBs, virtualizing Windows Server 2012 through a cloud service provider can help transform IT operations, reducing costs and delivering an entirely new level of business value. But why Windows Server 2012? Windows Server 2012 provides a scalable, highly available platform for mission-critical applications and offers enhanced support for open standards, open source applications and various development languages. Windows Server 2012 also makes it easier to deploy a virtual desktop infrastructure, and can lower storage costs. Virtual Desktop Infrastructure in Windows Server 2012 enables businesses to access IT from virtually anywhere, providing a rich Windows experience while ensuring enhanced data security and compliance. For SMBs considering Windows cloud server hosting Windows Server 2012 offers optimum flexibility. Quality cloud service providers (CSPs) provide a number of Windows 2012 hosting plans, along with support for Windows 8 as well. These kinds of plans harness cloud solutions to advance the growth of SMBs. Windows cloud servers offered through quality CSPs are 100 percent protected, 100 percent secure, 100 percent scalable and deliver 100 percent uptime. Windows virtual server hosting using Windows 2012 delivers a host of benefits, from the ability to select a graphical user interface to dramatically simplified licensing. Its Server Manager offers multi-server capabilities, making it extremely easy to deploy roles and features remotely to physical and virtual servers. Windows 2012 incorporates integrated security features such as Dynamic Access Control (DAC) and adds Storage Spaces, a new feature that enables users to create a storage pool using inexpensive hard drives. Its Hyper-V Replica replication mechanism provides true disaster recovery capabilities to SMBs that might otherwise find that kind of solution unattainable due to cost constraints. To ensure comprehensive data protection, SMBs considering a move to Windows virtual server hosting should expect free onsite and offsite backup using Application-Consistent Snapshot technology. With Application-Consistent Snapshots, entire servers or individual files can be restored in minutes in a consistent state. Database and disk transactions are complete and free of data corruption. Business should also require that their cloud service provider offer Perimeter Intrusion Detection Prevention and Perimeter Anti-Virus/Anti-Malware with Windows virtual server hosting. This ensures that every network transaction is inspected by unique perimeter devices, blocking known attacks and CVEs. Viruses and malware transmitted over unencrypted connections are blocked before they reach the client’s server. Windows cloud servers enable SMBs to stay lean and scale instantly when required. They permit organizations to do business anywhere, empowering them to be faster and bolder than competitors who have yet to make the move. One of the challenges that many organizations face is accurately capturing employee time for payroll. It can be particularly difficult when workers are spread across multiple locations, or job sites. While it is streamlining the data capture process and maintaining the accuracy of the data are critical, it is also important to find a solution which minimizes the burden on the employees responsible for collecting and entering the data. Technology offers a variety of good solutions to address this issue. Spreadsheet Time Sheets can be a simple but effective way to gather employee time. Whether you use individual employee time sheets, or have a time keeper enter a whole crew’s time into a single sheet, a spreadsheet can easily capture, organize, and submit the data to the payroll system. 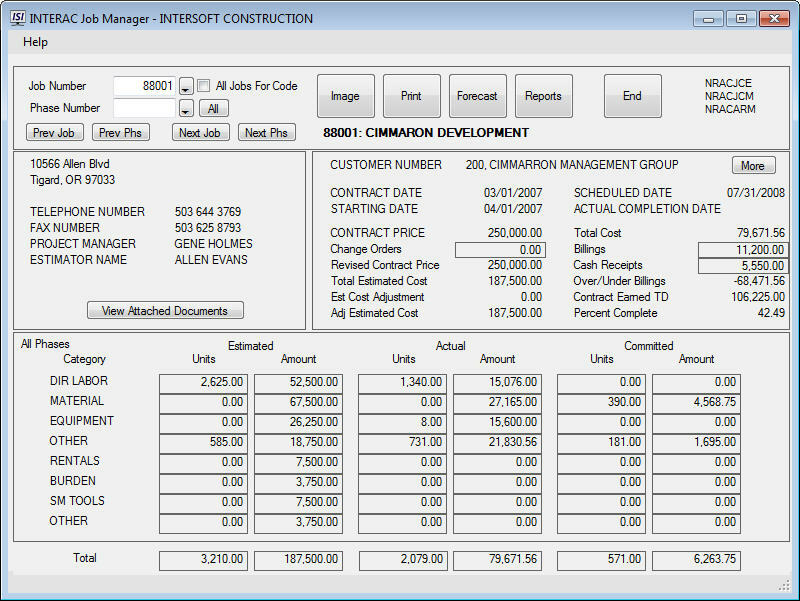 Anyone with basic computer skills can enter the data and it is very easy to review and edit the data for accuracy before it is processed. Using INTERAC InterLink import/export utilities, data from a spreadsheet is easily imported directly into payroll for processing, eliminating the errors and time spent with manually keying the data in. PC and Mobile Applications have become a popular option in recent years. For situations where employees spend most of their time away from the office, these options may be more effective. INTERAC includes several PC based remote time entry options. Payroll Data Entry is an excellent option for remote offices or client installations where they need the ability to process payroll and print checks. Because it is a subset of the actual payroll application, it creates the transaction files for processing, eliminating the import step. Job Tracker is designed with the construction job site in mind, allowing the time keeper to submit time for their entire crew from an easy and efficient PC based job cost and equipment cost enabled time entry system. Time Clocks & Point of Sale Systems are widely used in many businesses. Traditionally time clocks were physical devices which were used to punch in and out. Today’s time clock may be nothing more than a software application on a PC. Many POS systems include the time clock function, allowing employees to punch in and out right from a POS terminal. Virtually any current time clock or POS system will output the data in either CSV, or spreadsheet format, making it easy to import into your payroll system. More advanced systems often have the ability to interface directly with the payroll software, sharing the employee lists and other key setup information. This can be a real time saver, only having to maintain one master employee database. Whatever your situation, there are a variety of ways to streamline your payroll data capture process with INTERAC. In the business world, we must continually change to survive. Your competition is looking for ways to be more competitive and one of the ways to stay ahead is to get the most out of your technology solutions. As software developers, we are continually adding new features and capabilities to our software. Many of these enhancements come about as a direct result of customer feedback. We are always looking for ways to make our software solutions more robust and useful. One of your goals needs to be taking advantage of these enhancements as they are offered. One good example is the electronic Document Management System. Over the course of the last few years, this technology has become mainstream and is now part of many of the integrated ERP software solutions. Most new users struggle with the idea that they don’t need to maintain a file with hard copy documents. Letting go of the paper makes them very uncomfortable, until they have tried it for a few months and realize the time savings and convenience of having all that documentation online. Users find the document management system to be one of the most significant time saving enhancements in recent years. If your organization is like so many we know, there are likely a variety of capabilities in your existing software solutions that you are not taking full advantage of. In fact, there are probably new capabilities that your users aren’t even aware of. Your software vendors should be seen as an extension of your team, willing to work with you to implement their tools to help your team maximize their productivity. Guest post by Adam Stern, CEO of Infinitely Virtual. In addition, an increasing number of CSPs are using the American Institute of Certified Public Accountants’ Service Organization Control process (SOC), the organization’s certification of controls with verification for cloud environments. Some of the larger cloud service providers now publish SOC reports on their security controls. Mandates from CIOs and CISOs may be required before SOC reports are published by all cloud providers. Why not have a dedicated check printer? With the INTERAC Laser Check option, you save both time and money by utilizing the less expensive blank check stock and automating the check printing process. With today’s low cost laser printers, why not set up a dedicated check printer to make it even easier. Having a dedicated check printer allows you to keep the MICR toner and check stock loaded, so you don’t have to remember to change them before a check run. By adding additional trays to the printer, you can even utilize different colored check stock. This makes it easy to differentiate between AP and Payroll checks, or you may use a different color for each company. Intersoft Systems recommends HP LaserJet Pro series printers to work with the INTERAC accounting suite. There are multiple models for which the MICR toner required for check printing is readily available. Before you select a check printer, be sure that MICR toner is available. The Troy Group is an excellent source for MICR toner. Taking full advantage of the automation options in the INTERAC Laser Check package will allow you to streamline the check writing process. The time saved by having a check printer always ready may be reason enough, but when you add to that the savings from not having to purchase pre-printed checks will more than offset the investment in a dedicated check printer. 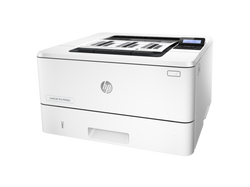 The convenience of not having to remember to change the toner, insert the check stock, or rerun the checks when you forget make this a smart choice. If your accounting system doesn’t offer these options, or you aren’t taking advantage of them, we are here to help. ​When implementing the INTERAC Accounting System, particularly in a multi-user setting, the advantages of a Terminal Server (Remote Desktop Services) will become readily apparent. Whether you choose a traditional server, a virtualized server, or a cloud hosted server, the same remote desktop functionality is available. Following are just a few of the key considerations. Remote Desktop connections provides the same Windows desktop interface you are used to using, but because the applications run on the server, it can be accessed using a variety of network devices. Make the system available to users on the device they prefer whether it is a PC, tablet, or thin-client. Not only can your office staff benefit, field personnel and remote staff can easily log in and run their business applications on demand. Create an icon on your desktop for easy access to log into the Terminal Server. When logged in, each user gets their own customizable remote desktop on the server, with their applications and user configuration settings. They can even use their own local printers and scanners. Remote Desktop is an easy way to provide access to the INTERAC suite of applications to workgroups in multiple office locations. All that is required is a reliable internet connection, or you may choose to utilize a more secure virtual private network connection. Either way, all the data and processing is done on the server. Only the keystrokes and display information are being transmitted between the server and end user. Mobile field users can also utilize Remote Desktop connections to access the system, providing on-demand access the critical reporting information they need. INTERAC security controls what applications and information each user is allowed to access. Allowing individual silos of data on each PC creates all kinds of data management issues. Knowing that hard drives are one of the most frequent failures on a PC, it is much better to have your files on a server with more robust storage and backup options. Because servers typically have higher grade disk drives and utilize RAID drive configurations to further protect data from drive failures, they are a much more reliable and secure environment for critical data storage. Consolidating the data to a Terminal Server brings the data storage under the control of the server, which allows for much better data security and makes it much easier to assure that important data is properly backed up. This is particularly important with sensitive accounting data. Utilizing proper security protocols, prevents unauthorized access. In addition to Windows server security options, INTERAC security controls which portions of the INTERAC suite each user may access. Centralizing these settings to the server, it is very easy to maintain and update security settings when necessary. While it is certainly feasible to utilize a file server for data storage, it consumes significant network resources when opening and saving files. This is likely to create performance issues that can easily be avoided by utilizing a Terminal Server. A file server configuration may be acceptable for small work groups, but we recommend a Terminal Server for workgroups of five or more users. One of the biggest advantages of a Terminal Server is realized in the time saved in doing system updates. Because there is only one master INTERAC installation on the server, only one installation needs to be updated, making ongoing updates much easier to manage. Running the update on the server takes care of all the users at one time. That is much easier than trying to manage separate installations for an entire workgroup. Instead of routinely upgrading a whole group of personal computers, you can focus the resources on a single server solution which will better utilize the processing power. With the important business applications hosted on the server, the requirements for the user PC or thin-client are minimal, allowing you to extend the useful life of existing computers. The Microsoft Windows Server 2008 & 2012 operating systems include these Remote Desktop capabilities. It is simply a matter of enabling these features and providing the user licenses. Likewise, the desktop operating systems are also capable of running the Remote Desktop client software to connect to the server. When the time comes to consider your next INTERAC server upgrade, Intersoft Systems would encourage you to take advantage of a Terminal Server with Remote Desktop connections. Take advantage of all these time saving features on a traditional server, a virtualized server, or on a hosted cloud server. 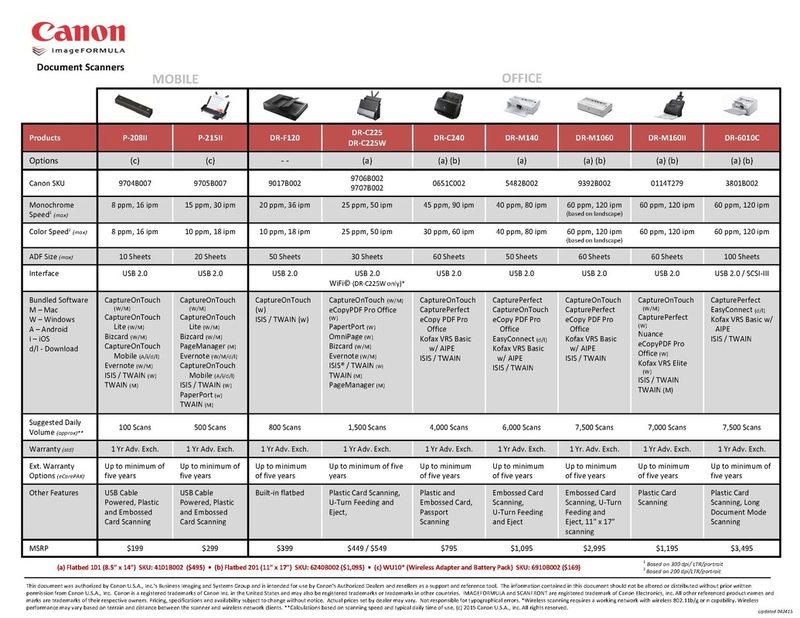 We would be happy to help you select the appropriate option, or even supply the hardware or hosting services. Let us know how we can help. Intersoft Systems has had excellent results using Tandberg Data’s AccuGuard™ data protection software for reliable automated backup and recovery. The integrated powerful data deduplication will help you to increase your effective storage capacity allowing you to store up to 20 times more data. AccuGuard optimizes the data at the source, resulting in dramatically improved backup windows and network bandwidth. Whether you need a simple backup solution just for your INTERAC accounting data, or you want an enterprise wide backup solution, AccuGuard has a solution for you. Not only is it powerful, but it is also easy to implement and use. 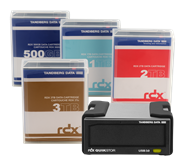 Tandberg Data AccuGuard™ Server for RDX® is a Windows®-based backup and recovery software which works with Tandberg Data RDX® QuikStor™ and RDX® QuikStation™. It is an easy-to-deploy solution that protects physical and virtual Windows servers and desktops. AccuGuard data protection software delivers reliable, automated backup and recovery utilizing a powerful data deduplication engine designed to increase your effective storage capacity, allowing you to store up to 20 times more data. Drag and Drop Restore - Simplifies file recovery by eliminating the requirement to run a "Restore Job"
Tandberg Data AccuGuard™ Enterprise is a powerful Windows®-based backup and recovery software. It is an easy-to-deploy solution that protects servers*, virtual servers* and desktops* and even remote computers*. This robust data protection software delivers reliable, automated backup and recovery utilizing a powerful data deduplication engine designed to increase effective storage capacities by up to 20 times compared to traditional data protection methods.